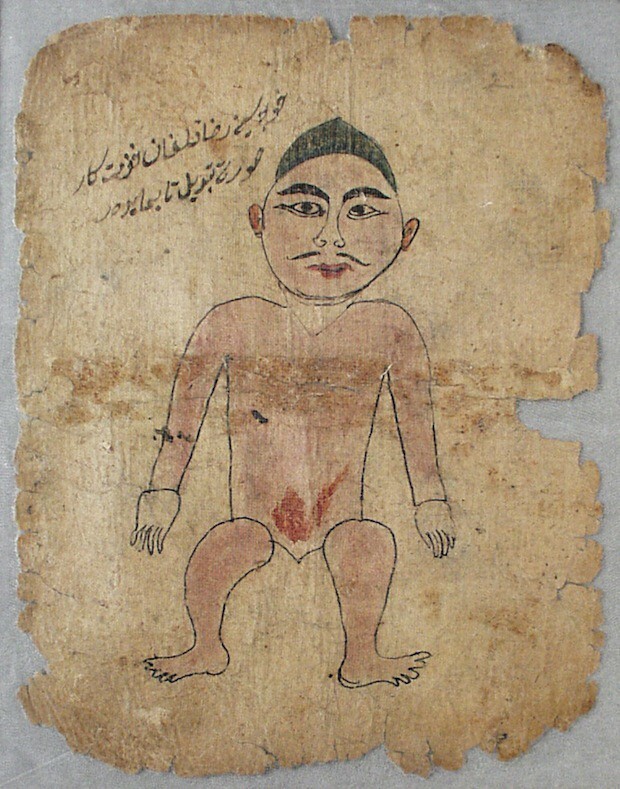 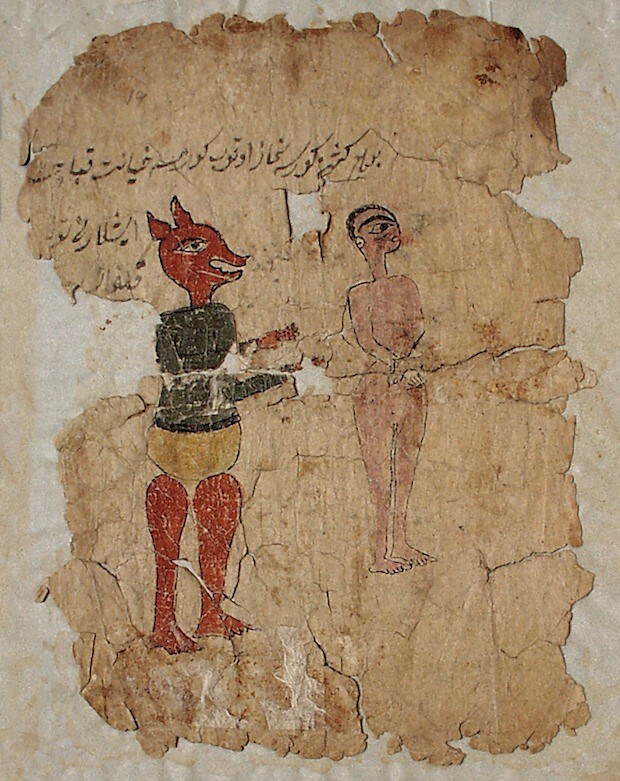 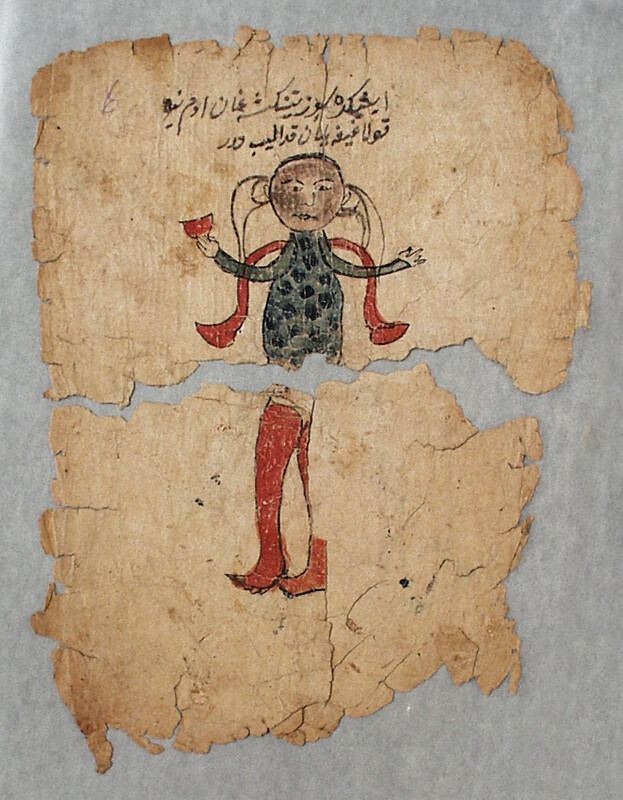 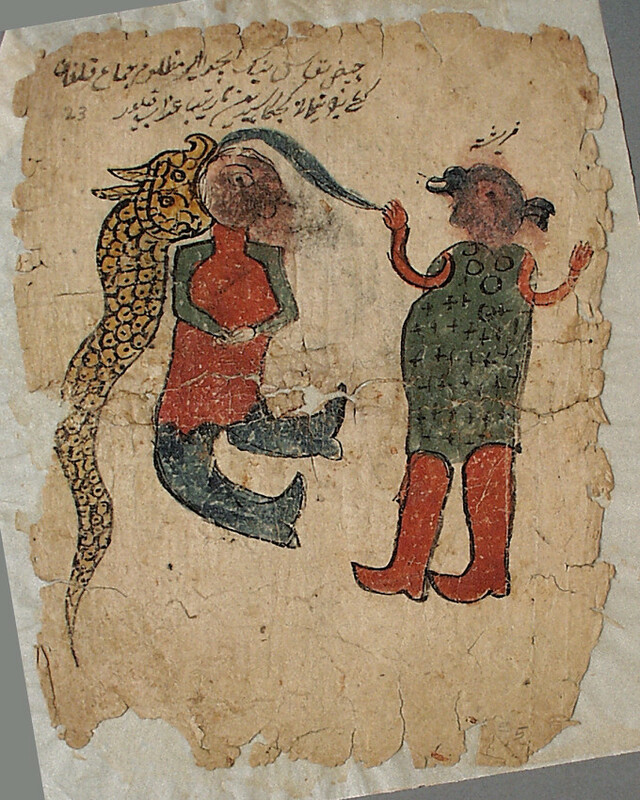 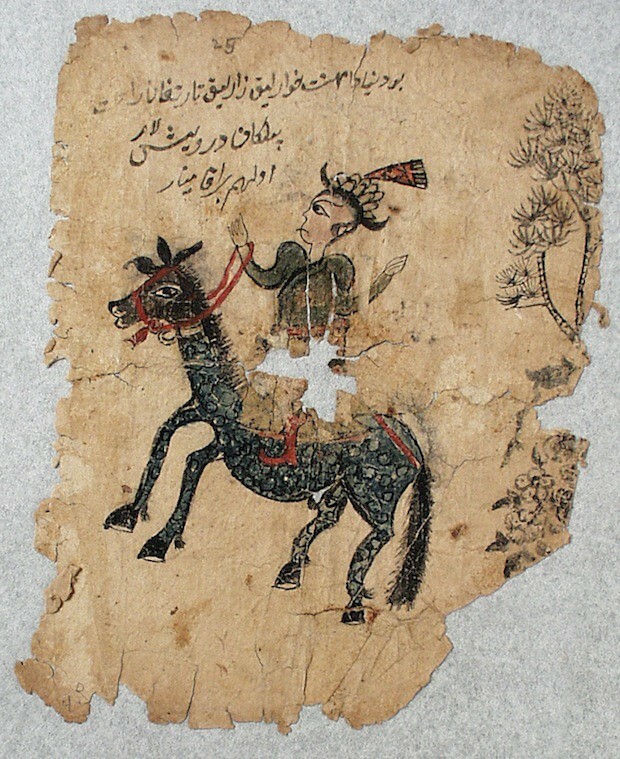 We came across these mysterious fragments of manuscript in the Los Angeles County Museum of Art digital collections which list them only as being from an “Unknown Manuscript”, from the 19th century and as possibly originating from Turkestan. 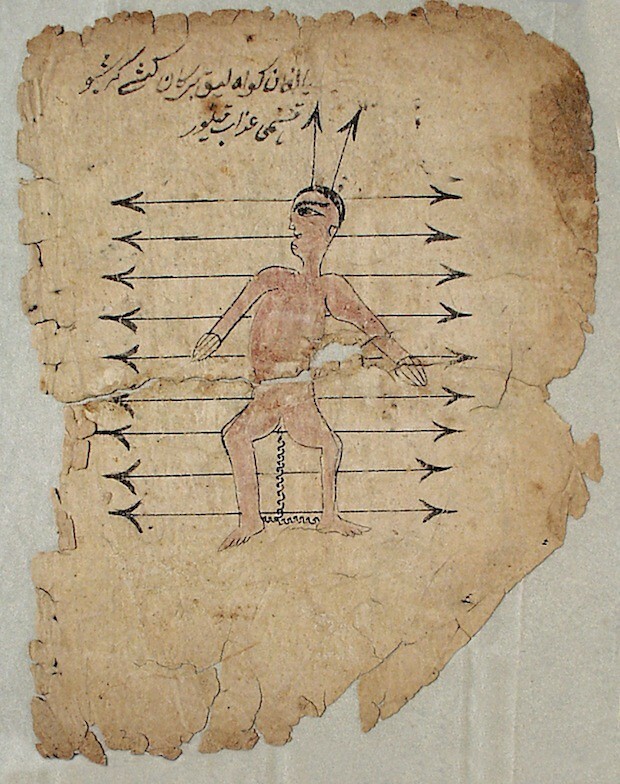 Keen to find out more we wrote to a few experts in Turkic languages and received some very helpful replies. 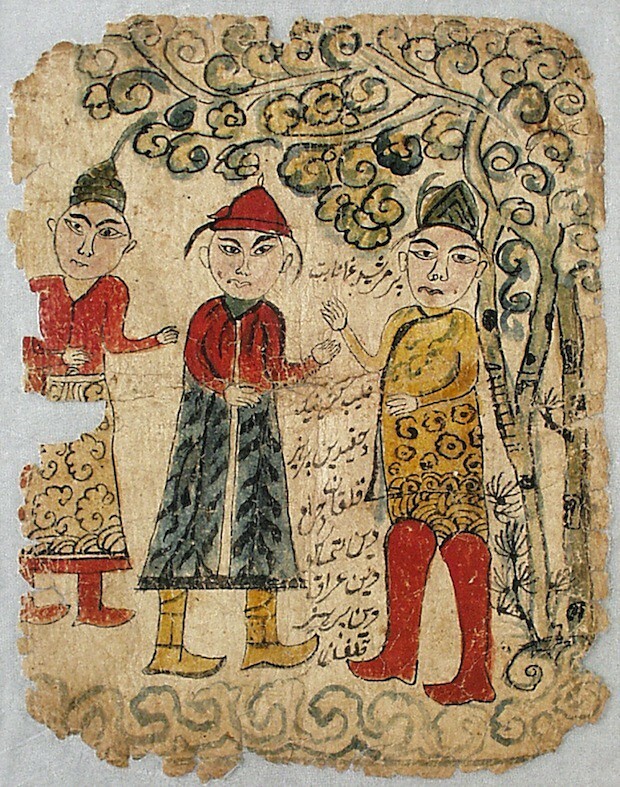 Dr Helga Anetshofer from the University of Chicago and Dr David Brophy from the University of Sydney worked together to identify the language as being “Eastern Turki” (which is the dialect of the Tarim Basin from the late 19th and early 20th century, a precursor to modern Uyghur), and provided the following transliterations and translations which you see in the captions below each picture. 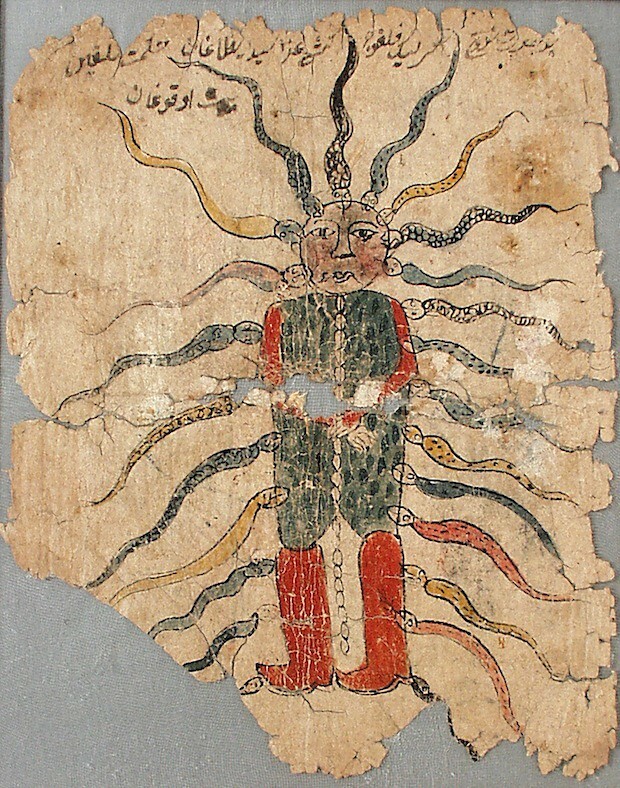 The general theme seems to centre around the fate of sinners in the afterlife, with a number of gruesome punishments depicted, including snakes attached to ears for eavesdropping and and having one’s tongue pulled out through the neck for engaging in sexual relations during menstruation or the period after childbirth. 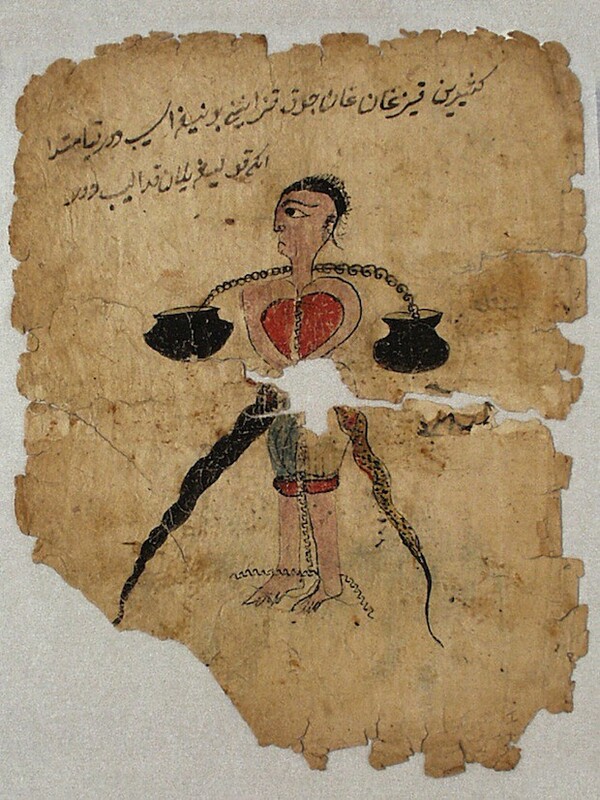 A huge thank you to Dr Helga Anetshofer and Dr David Brophy for their help, and if anyone else might be able to shed any more light on the images, or help with missing parts of the translation then please do get in touch.